Register for the CRC Winter Training: Quarter, Half, & Marathon Program today! There's nothing quite like the feeling of crossing the finish line of a long race with your arms held high. If you've been dreaming of reaching that finish line, the Columbus Running Company is here to help! Our CRC Training Program is a free, fun way to prepare for your next big race in a group setting. 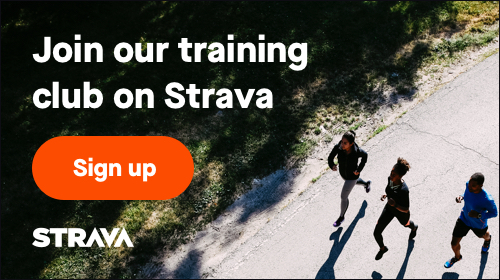 You'll receive a training plan, weekly coaching emails, motivational support, access to group runs & walks, and plenty more. Training for our 2019 winter season officially begins on Saturday, January 12th, but we'll accept new group members over the course of the season. Be sure to check our FAQ section for common questions about the group, or email Coach Eric at efruth@columbusrunning.com if you have any further questions, comments, or concerns.